I've always been a sucker for radio dramatizations. I remember checking cassette tapes of Cape Cod Radio Mystery Theater from the library when I was younger. Full cast narrators, dramatic stories, and always a little bit of intrigue is a great way to listen to a story. 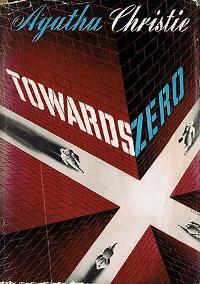 Perusing Overdrive, I found a performance of Agatha Christie's Toward Zero. I love Agatha Christie audiobooks, especially those read by Hugh Frasier, so I thought I'd give this one a whirl. It couldn't hurt that Hugh Bonneville (Daddy Downton) voiced a character. A breakdown of the story would be confusing, but the gist includes gilted love, hidden pasts, jealous rage, and hurt feelings. Hard to imagine that all of that would end in murder! :) In typical Christie fashion, there are several red herrings that twist and turn the story until the truth is revealed, and while I definitely felt a bit of plot was substituted for dramatic storytelling, I was satisfied with ending. If you're a fan of Agatha Christie or radio dramatizations, definitely give this a listen.